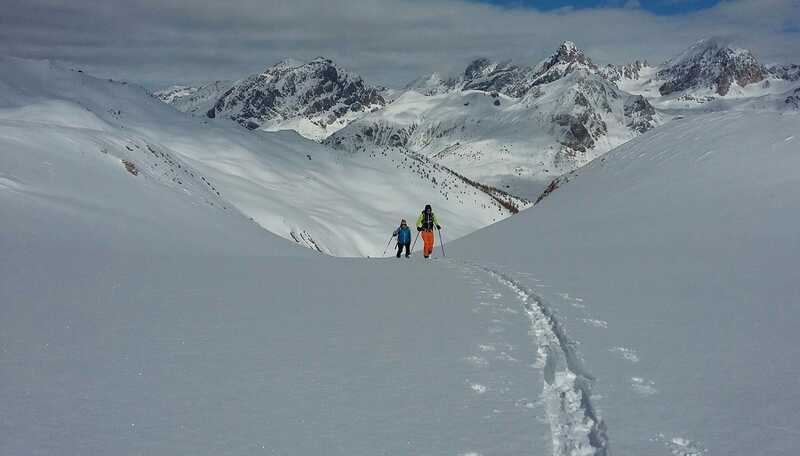 Spending a week annually between Bartolo’s delicious snacks and the secluded spring-ski-touring in both the Stura and the Ubaye valleys is a part of our life’s pleasures too. Alongside the many touring possibilities and various descent routes of the Piemont Stura valley, a quick mountain pass connection leading into the French Ubaye, provides us with extra leeway by variable weather or snow conditions. This, in combination with the exceptional food at the Osteria della Pace, is a magnet for repeated annual ski- touring trips.